Sixty-eight years ago, even as Jackie Robinson was clearly demonstrating he belonged in the major leagues while playing for the Brooklyn Dodgers’ Triple-A affiliate in Montreal, major league owners marshaled the same argument expressed in an internal e-mail by the owner of the NBA Atlanta Hawks—that black fans at his arena were hurting his team’s bottom line—to oppose the integration of major league baseball. The owner of the Atlanta Hawks has decided to sell his controlling stake of the NBA team because of the terrible optic from an e-mail to his general manager in which he complained that the Hawks were drawing an “overwhelmingly black audience” and that black crowds “scared away whites” from buying ticket-packages, to the financial detriment of the franchise. The same sentiment was expressed as the primary reason for opposing integration in a consensus report delivered to Commissioner Albert “Happy” Chandler in August 1946 by major league club owners, who were universally against Branch Rickey’s decision to integrate the Brooklyn Dodgers, although there may have been one or two who were privately open-minded but not willing to take any lead in bucking the segregationist history of the major league game. Happy Chandler, MLB Commissioner from 1945 to 1951. 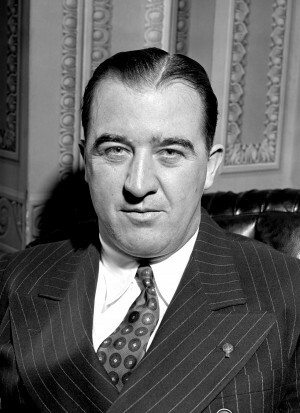 The junior Senator from Kentucky, who would have been up for re-election to his Senate seat in 1946, Chandler had been elected Baseball Commissioner as a dark horse candidate in a contentious vote of owners in April 1945, five months after the death of Kenesaw Mountain Landis (who most assuredly did not support the idea of integrating the major leagues, even if there was supposedly no official policy). 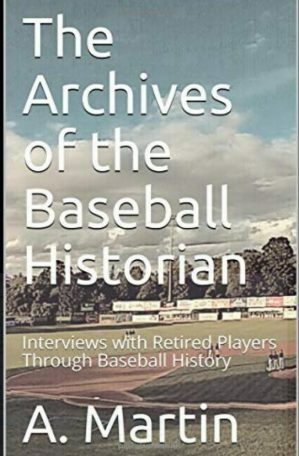 Chandler did not, however, assume full-time the burdens of being Commissioner until finally resigning from the Senate in November 1945, meaning he was still quite new on the job when a subcommittee of owners that included the presidents and two franchise owners in each league presented him with their report addressing the fundamental issues facing Major League Baseball. The MacPhail Report made no specific recommendations, but went “on record” asserting that the problem “vitally affects each and every one of us” and that any “fair and just solution” should be compatible “with good business judgment and the principles of good sportsmanship.” Notwithstanding his fellow owners’ concerns about the presumed negative financial impact on “each and every one of us,” Branch Rickey did not hesitate to promote Jackie Robinson to the major leagues the next year. 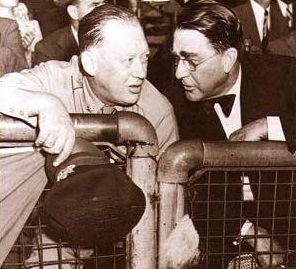 Larry MacPhail (left) and Branch Rickey. 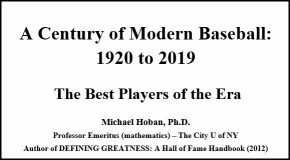 The rest is history, and history certainly bears out not only that Branch Rickey was on the right side of a fundamentally moral issue, but that the “bad for business” argument that was the centerpiece justification for opposing integration was not just wrong, it was cynical and bogus. Attendance did not suffer as more teams began to integrate, except insofar as competitiveness—or lack thereof—was concerned. 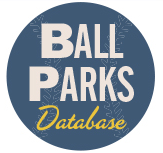 From the end of World War II until 1952, the American League attracted more fans to their ballparks than the National League every year except for in Jackie’s rookie season of 1947. 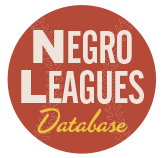 But beginning in 1953, with its greater preponderance of black stars, the National League outpaced the junior circuit in attendance every year until 1977 with the exceptions of only 1955 and 1961 (when the AL expanded to ten teams while the NL remained at eight). The MacPhail Report singled out the Giants, Yankees and White Sox as franchises whose value might decline if integration resulted in a boost of blacks in attendance at their stadiums, presumably causing many white fans to stay away. The Giants and White Sox were both early to integrate, became much better teams on the field of play and did not suffer at the gate. The figures show that the cardinal determinant in attendance fluctuations was competitiveness, as well as the increasing physical deterioration of stadiums approaching fifty years old and with limited parking options at a time when Americans were falling in love with their cars and suburban lifestyles. Similarly, the Yankees’ attendance did not suffer after they integrated with Elston Howard in 1955 or because they had Howard, Hector Lopez and Al Downing as key players when they were winning pennants in the early 1960s. Not until the Yankees plunged into the depths of the second division in the second half of the 1960s did their attendance plunge as well.